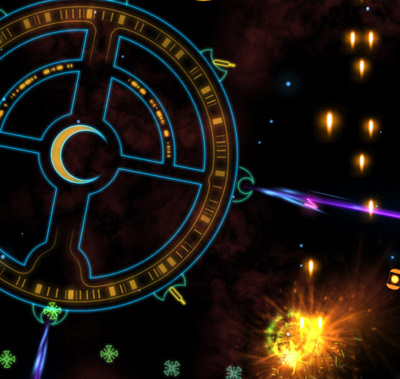 Plasma Sky is a fast paced space shoot-em-up for iOS and Android featuring 100 levels, lots of power-ups, and multiple game modes. It's universal, and there are no in app purchases. If you're skeptical, I understand. This category of games is full of terrible Galaga clones. Also awesome games! But, lots of stuff that was made in a week too. There's lots of kinds of enemy ships, and snakes, and your ship powers up and can get different kinds of ammo. There's a regular shield, but also a spike shield that lets you ram enemies. There are bosses! And there's lasers! And you can get a wingman who can power up too! And you and your wingman can get lasers! And there's other stuff! And it barely costs anything! Look, you need another game to keep you company on the bus, or while your dinner companion is away, or when you’ve done enough and need a break. You need a good game for when you'd otherwise just be staring vacantly out a window. This is it. This is that game. This is the game you'll get to make that time awesome. Please check out the videos below (and turn up the quality!) for a preview, and also try the screenshot page linked above. Thanks for coming by! I've added so much stuff since release! Before this update there was Survival mode and multiple wingmen and controller support and lots of other changes, but this next update blows all that away. - Five new bosses, double the original number. They’re neat! - New Power-Up, Laser Meteors, Bullet Physics, Smart Turrets, Visual Enhancements, Bug Fixes!